2016 has been an exciting year in the world of search engine optimization and social media marketing – what are the main developments to inform your marketing? 1. Mobile optimization is a must. Last year, mobile generated more traffic than desktop and laptop search. With virtually everyone using their smartphone or tablet to find information online, it goes without saying that business owners must cater to the needs of their mobile audience to generate leads and increase conversions. competitors. This is reinforced by Google’s Mobilegeddon update, which favors mobile-friendly websites. Be sure you use responsive web design to provide the best user experience to your visitors regardless of the device they’re using. 2. Voice search introduces huge changes in keyword research. Digital assistants have become more popular among mobile users over the past couple of years, thanks to their much-improved functionality. Siri, Now and Cortana are making the lives of users so much more convenient. But this presents a new challenge to marketers as they must now optimize for voice search. People use different search terms when speaking and typing. Voice searches lean toward long-tail keywords, so be sure to include these terms to increase your chances of ranking. 3. Local SEO will be even more important. There have been significant changes in how Google presents search results for local terms. Different search elements are used to provide immediate information regarding local businesses. It is imperative to have your business listed on Google to improve search visibility. Google My Business is a great place to get started, allowing you to control multiple accounts from one central location. 4. Social posts get ranked higher. It’s a good move to try to rank your blog posts and universal assets (videos, images, news, etc) on the results pages, but this year you shouldn’t forget to rank your social posts as well. Many marketers are already utilizing social media to gain more visibility in search engines. When customers enter your company name, you must make sure that your social media profiles are seen on the first page. This should be further leveraged for your reputation management and monitoring. Various social media sites also now encourage long form content, most notably Facebook with their revamped Notes feature. Various social media sites also now encourage long form content, most notably Facebook with their revamped Notes feature. 5. App store optimization is crucial. One study shows that in 2015, 52% of time spent online was on mobile apps. This shouldn’t come as a huge surprise, as people tend to prefer using apps over surfing mobile websites due to better functionality. If you have a business app, optimizing for the app store is crucial to enhance visibility. Tons of apps get created every day, making it more difficult than ever to stand out. It’s vital to use in-app analytics as well to measure conversions, click through rates and app open rates. 6. Learn the new on-page SEO. When talking about on-page SEO, what immediately comes to mind are content optimization, internal linking and improving site structure. But now, there are more factors to consider to ensure that your on-page SEO is in check. These include click-through rates, engagement, social signals and relevant content. By measuring these important site metrics, you can see which areas of your site need improvements. These are also used by search engines when ranking web pages, so look beyond conventional on-page SEO strategies and be sure these factors are included in your next optimization campaign. platforms. Facebook and Pinterest, in particular, have introduced “Buy Now” features. This is a fantastic opportunity to reach your target audience and increase conversions. It’s a win-win situation since social media users can now buy products without even leaving the app, allowing for a great user experience. Without question, more social platforms will follow suit this 2016. This is a fantastic opportunity to reach your target audience and increase conversions. It’s a win-win situation since social media users can now buy products without even leaving the app, allowing for a great user experience. Without question, more social platforms will follow suit this 2016. It shouldn’t come as a surprise if buy buttons become very prominent in advertising campaigns by this year’s holiday season. 8. Enhancements in in-app functionality. Mobile apps have come so far. It’s amazing how much you can do without ever leaving the app. Developers continue to make innovations and add new functionalities to their apps. Facebook, for instance, introduced a lot of new features last year such as Instant Articles and automatic video playing when scrolling. They are now making their own digital assistant. Canvas.Facebook.com is by unique invitations only, but will come onto the market, full-force. Twitter, Instagram and other platforms refuse to fall behind, promising to have plenty of things in store for their users. By making improvements in in-app functionality, conversion rates skyrocket, so it’s essential to make enhancements in your app to experience a boost in ROI. 9. Take advantage of new publication options. Facebook created a game-changer when they launched Instant Articles. This is their way of presenting users with content while ensuring that they wouldn’t leave the app. Instant Articles load measurably quicker than regular web links, thus improving user experience. Major publishers are now using this feature to reach their target audience. Twitter is about to release a similar feature called Project Lightning. Check out these new publication options and see how you can utilize them to generate new leads and improve conversions. 10. Videos will continue to dominate. video views daily as of November 2015. These two facts alone prove how much online users love watching videos. Plenty of studies also show that content within videos have higher engagement rates compared to those that only contain plain text. It’s recommended to find ways to present information to your audience through entertaining videos. Trying to rank these videos on the results pages can also drive a significant amount of traffic to your website. 11. In-the-moment content will surge in popularity. 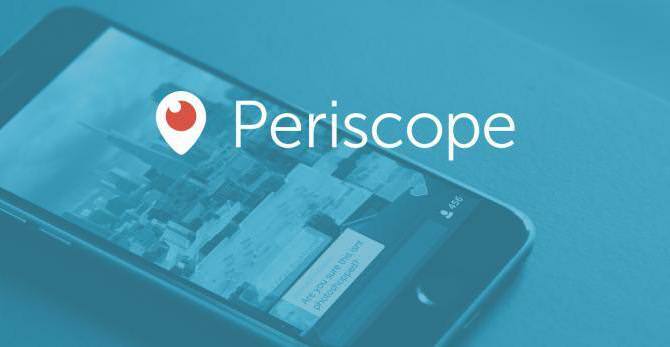 Periscope, the most popular live streaming online platform, allows users to record a short moment of their lives and share it with the world. Snapchat and Instagram have already jumped on the bandwagon. This could mean huge changes in how you use social media. Instead of scheduling posts in advance, you might want to consider posting in-the-moment updates and take advantage of the fact that millions of online users love this kind of content. This could mean huge changes in how you use social media. Instead of scheduling posts in advance, you might want to consider posting in-the-moment updates and take advantage of the fact that millions of online users love this kind of content. 12. Dark traffic gradually becomes clearer. If you’re using Google Analytics, then you know how frustrating it is to try to decipher dark traffic—the kind of traffic whose source you do not know. Analytics simply includes it under direct traffic. This can affect your marketing campaigns. As a marketer, you want to know as much as possible about your audience. Thankfully, dark traffic has gradually come to light over the past few months. Digital marketers expect that this year will mark the end of dark traffic, with analytics tools getting more precise information regarding their source. 13. Link building continues to be effective (think SEO). Many say that link building should be avoided altogether, especially after the Penguin update that demolished millions of websites last year. But links are arguably the most important ranking factor. As long as links are used by search engines for ranking web pages, they will remain effective. Just keep in mind that when it comes to links, quality trumps quantity. Be sure your links are contextual and relevant. Also, don’t forget to optimize your anchor text ratio. Avoid using the same keywords as your anchor text to avoid any spam detector. 14. Long form social content will become huge. Short messages are often published on social media, with brands preferring to post a concise description or summary of their post and then placing a link to the target URL. But social media sites are encouraging users to publish posts directly on their platforms. LinkedIn has recently ramped up their long form content publishing. Facebook has also revamped Notes, one feature which had not received a lot of love from the social giant for many years.Blogging on social media will become a huge trend in 2016. Blogging on social media will become a huge trend in 2016. This is a significant change in content marketing which makes it easier for readers to find the information they need. 15. Advertising costs will rise. social media. This is largely due to increased competition. For the same reason, advertising costs are expected to rise this 2016. Social media sites are also throttling organic visibility to make brands purchase ads. While you can still set up a successful online marketing campaign with a limited budget, it helps to be prepared and allow for some room for extra expenses particularly on the advertising front. These trends will permeate the social media and search engine marketing landscape over the course of the year. Some of the biggest names in the industry including Google, Facebook and Twitter are already releasing new feature after new feature, improving the overall experience of their users while simultaneously keeping marketers on their toes as they try to adapt to all the changes. By preparing for these trends, you can beat your competition and be rewarded with increased visibility and better brand awareness.